This site is operated by independent scientologists and is neither endorsed by, nor associated or affiliated with the corporate company known as the Church of Spiritual Technology or its companies and churches such as the Religious Technology Centre, Church of Scientology International, or any of its affiliates, corporation’s management organisations or groups. All information, news items, articles and write ups are provided on an as is basis for informational purposes only. While the information presented may be from sources we believe to be reliable, we do not guarantee the accuracy or validity of any information presented. The Theta-Meter website does not purport to offer any professional advice of any legal, financial or psychological service and all information is provided with the understanding that Theta-Meter, its owners, writers and contributors are not engaged in rendering any legal, financial, psychological or any other professional service and any information so displayed on the theta-meter.com web site is offered for information purposes only. If any legal, financial, psychological or any other professional advice or assistance is required, the services of a competent professional person should be sought. The user is considered solely responsible for his or her own actions. THIS SITE IS THE THETA-METER HEREINAFTER REFERRED TO AS THETA-METER. THIS SITE IS PROVIDED BY THETA-METER ON AN "AS IS" AND "AS AVAILABLE" BASIS. THETA-METER MAKES NO REPRESENTATIONS OR WARRANTIES OF ANY KIND, EXPRESS OR IMPLIED, AS TO THE OPERATION OF THIS SITE OR THE INFORMATION, CONTENT, MATERIALS, OR PRODUCTS INCLUDED ON THIS SITE. YOU EXPRESSLY AGREE THAT YOUR USE OF THIS SITE IS AT YOUR SOLE RISK TO THE FULL EXTENT PERMISSIBLE BY APPLICABLE LAW. THETA-METER DISCLAIMS ALL WARRANTIES, EXPRESS OR IMPLIED, INCLUDING, BUT NOT LIMITED TO, IMPLIED WARRANTIES OF MERCHANTABILITY AND FITNESS FOR A PARTICULAR PURPOSE. THETA-METER DOES NOT WARRANT THAT THIS SITE, ITS SERVERS, OR E-MAIL SENT FROM THETA-METER ARE FREE OF VIRUSES OR OTHER HARMFUL COMPONENTS. THETA-METER WILL NOT BE LIABLE FOR ANY DAMAGES OF ANY KIND ARISING FROM THE USE OF THIS SITE, INCLUDING, BUT NOT LIMITED TO DIRECT, INDIRECT, INCIDENTAL, PUNITIVE, AND CONSEQUENTIAL DAMAGES. THIS AGREEMENT SETS FORTH THE TERMS AND CONDITIONS UNDER WHICH THETA-METER WILL PROVIDE ITS ENTIRE SERVICES. USE OF THIS WEB SITE AND OR ANY THETA-METER WEBSITE, PRODUCT OR SERVICE MEANS USER ACCEPTS ALL THE TERMS AND CONDITIONS OF THIS AGREEMENT. THE PARTIES TO THIS AGREEMENT ARE THETA-METER AND THE USER. THETA-METER its successors and assigns, officers, members, associates and affiliates retain the right to the practice of their chosen philosophy and religion including the rituals and practices associated thereby. The THETA-METER is an independently operated not for profit association and is neither endorsed by nor affiliated with the Church of Scientology, its affiliates, corporations, management organizations, groups, CST or the RTC. As a convenience to you THETA-METER may provide, on this Site, links to Web sites operated by other entities. If you use these sites, you will leave this Site. 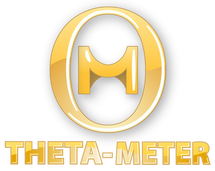 THETA-METER encourages third parties to follow appropriate privacy standards and policies, but is not responsible for the actions of those parties, the content of their Web sites, or any products or services they may offer. If you decide to visit any linked site, you do so at your own risk and it is your responsibility to take all protective measures to guard against viruses or other destructive elements. THETA-METER makes no warranty or representation regarding, and does not endorse, any linked Web sites or the information appearing thereon or any of the products or services described thereon. Links do not imply that THETA-METER or this Site sponsors, endorses, is affiliated or associated with, or is legally authorized to use any trademark, trade name, logo or copyright symbol displayed in or accessible through the links, or that any linked site is authorized to use any trademark, trade name, logo or copyright symbol of THETA-METER or any of its affiliates or subsidiaries. This Site is controlled, operated and administered by THETA-METER from its offices within the Russian Federation. THETA-METER makes no representation that materials at this site are appropriate or available for use at other locations outside of the Russian Federation and access to them from territories where their contents are illegal is prohibited. You may not use the Site or export the materials in violation of Russian Federation export laws and regulations. If you access this Site from a location outside of the Russian Federation, you are responsible for compliance with all local laws. These Terms and Conditions of use shall be governed by the laws of the Russian Federation without giving effect to its conflict of law provisions. At THETA-METER, we understand that children's privacy, security and protection is important. We do not monitor the age of our user audience. We do not knowingly solicit or collect personal information from or about children, and we do not knowingly market our products or services to children. If you aged 18 or under you should not submit any personal identifying information to THETA-METER without the consent of your parent or guardian. If you are a parent and want to limit your children's access to material you believe may be harmful to them, you may want to look into the easily obtained commercially available hardware, software and filtering devices. All links to the THETA-METER Site must be approved in writing by THETA-METER, except that THETA-METER consents to links in which: (i) the link is a text-only link containing only the name " THETA-METER "; (ii) the link "points" only to http://theta-meter.com and not to deeper pages; (iii) the link, when activated by a user, displays that page full-screen in a fully operable and navigable browser window and not within a "frame" on the linked website; and (iv) the appearance, position, and other aspects of the link may neither create the false appearance that an entity or its activities or products are associated with or sponsored THETA-METER nor be such as to damage or dilute the goodwill associated with the name and trademarks of THETA-METER or its Affiliates. THETA-METER reserves the right to revoke this consent to link at any time in its sole discretion. IN NO EVENT SHALL THETA-METER OR ANY OF ITS SUBSIDIARIES BE LIABLE TO ANY ENTITY FOR ANY DIRECT, INDIRECT, SPECIAL, CONSEQUENTIAL OR OTHER DAMAGES (INCLUDING, WITHOUT LIMITATION, ANY LOST PROFITS, BUSINESS INTERRUPTION, LOSS OF INFORMATION OR PROGRAMS OR OTHER DATA ON YOUR INFORMATION HANDLING SYSTEM) THAT ARE RELATED TO THE USE OF, OR THE INABILITY TO USE, THE CONTENT, MATERIALS, AND FUNCTIONS OF THE SITE OR ANY LINKED WEBSITE, EVEN IF AND WHEN THETA-METER IS EXPRESSLY ADVISED OF THE POSSIBILITY OF SUCH DAMAGES. Assignment. The provisions of this Agreement shall be continuous and shall inure to the benefit of THETA-METER, its successors and assigns, and shall be binding upon user and/or the estate, personal representatives, administrators and successors of user. THETA-METER may assign its rights and delegate its duties as to any or all transactions under this Agreement. User shall not delegate any obligations hereunder without the prior written consent of all of the duly authorized officers of the THETA-METER and any attempt at such delegation without such consent shall be null and void. Jurisdiction. This agreement is governed by the laws of Russia as such laws are applied to agreements entered into and to be performed entirely within Russia by Russian residents. THETA-METER will not be held responsible or liable for the consequences of or the results of any activities performed by or on behalf of any Association and/or its officers, affiliates, nominees or representatives. Force Majeure. THETA-METER will not be responsible for delays or failures in the transmission, receipt or execution of orders, remittances, payments, donations, membership fees and renewals or information due to events or systems beyond its control. The obligations of this contract precede any government enactment. THETA-METER, it's owners, employees, agents or affiliates will not be responsible for any loss, damage or injury resulting from any event or system beyond its control. User will be subject to damages and other penalties, including criminal prosecution where available and the notification of the general public of user's actions, at the sole discretion of THETA-METER if user attempts to use the THETA-METER service in connection with tampering, cracking, modifying or otherwise corrupting the security or functionality of the THETA-METER website, services and/or association. THETA-METER reserves the right, at its sole discretion, to change, modify, add or remove any portion of this Agreement in whole or in part, at any time. Changes in this Agreement will be effective when notice of such change is posted. Your continued use of the Site after any changes to this Agreement are posted will be considered acceptance of those changes. Entire Agreement. This Agreement constitutes the entire and whole agreement between User and THETA-METER and is intended as a complete and exclusive statement of the terms of the Agreement. This Agreement shall supersede all other communications between the parties.